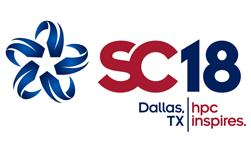 At Supercomputing 2018 (SC18) in Dallas, Texas, NVIDIA Founder and CEO Jensen Huang will deliver a special address about the latest innovations in GPU-accelerated supercomputing. The special address will be held at the Hyatt Regency Dallas, Landmark Ballroom C on November 12, 2018 from 3:00 PM – 5:00 PM CT.
Space is limited, so register now to get a seat in the auditorium. Throughout the conference NVIDIA we’ll have featured speakers, demos and more in our booth at the Kay Bailey Hutchison Convention Center. Attendees can learn more about cutting-edge technologies, dive deep into groundbreaking research, and meet with leaders from a broad range of industries. NVIDIA powers the world’s fastest supercomputers including Summit, the world’s smartest and most powerful supercomputer.